DiscoverOrg, the world’s leading sales and marketing intelligence solution, has announced the availability of a new Legal and Compliance dataset that will transform the way legal technology, law firms, and legal services companies prospect, build the pipeline and accelerate revenue growth. 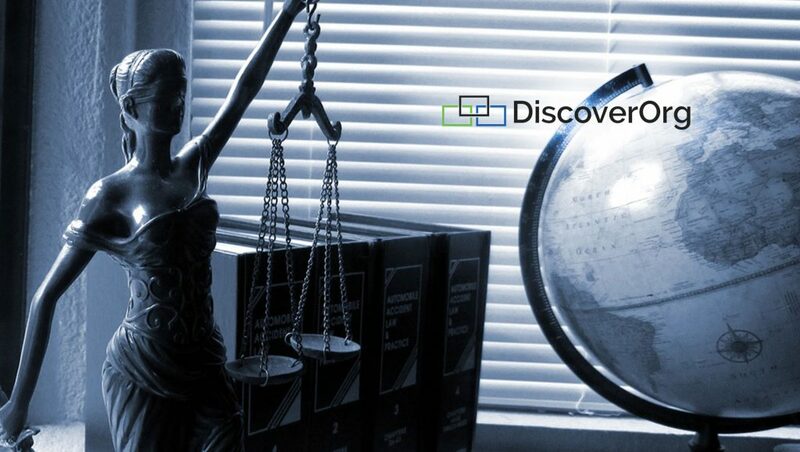 The new Legal and Compliance dataset augments DiscoverOrg’s award-winning solutions for companies targeting technology, sales, marketing, human resources, finance, and C-suite buyers. DiscoverOrg’s industry-specific datasets provide a stream of accurate and actionable company, contact, and contextual buying intelligence that can be used to find, connect with and sell to target buyers more effectively—all integrated into the leading CRM, Marketing Automation, and Sales Development Tools in the market. In conjunction with the release of the new legal and compliance dataset, DiscoverOrg is hosting a free “Selling to Legal” panel discussion and dinner with legal operations executives from leading companies on January 30th during Legalweek New York.